Two eggs from a local truly free range flock toward top of bowl, two ‘free range’ organic eggs from Trader Joe’s toward bottom of bowl. If you buy organic or cage-free eggs for a healthier, more ethically-produced product, take a second look at where your eggs are coming from. Ordinary US farm standards allow huge flocks of hens in impossibly small cages, while organic standards require uncaged hens fed an organic diet and given access to the outdoors. Unfortunately, many corporate-influenced large organic farms meet organic standards in a merely perfunctory way. 80% of US organic egg production is done in a manner that gives chickens little or no real access to the outdoors. Should you care about this whether or not you have a deep concern for animal welfare? Yes. Chickens allowed to pursue their natural behaviors outdoors produce eggs that are much more nutritious in ways that ought to interest anyone trying to follow an anti-inflammatory diet. But what if the eggs are labeled free range? Most of the labels other than organic that you might find on eggs don’t have legal teeth behind them or don’t truly ensure humane farming. This article from the Humane Society gives details on each kind of labeling you might find. 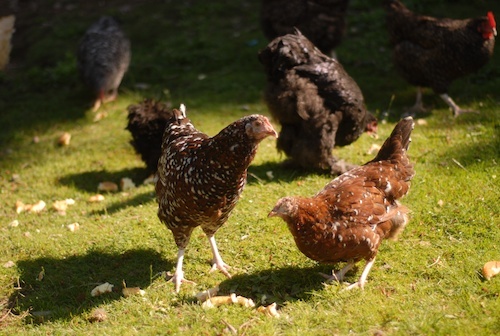 A hen that forages outdoors for its natural diet of green plants, insects, worms, and seeds produces eggs that are visually different from eggs from warehoused hens and that test higher for many nutrients. The yolk is firmer, stands up better, and is a darker shade of yellow-orange. 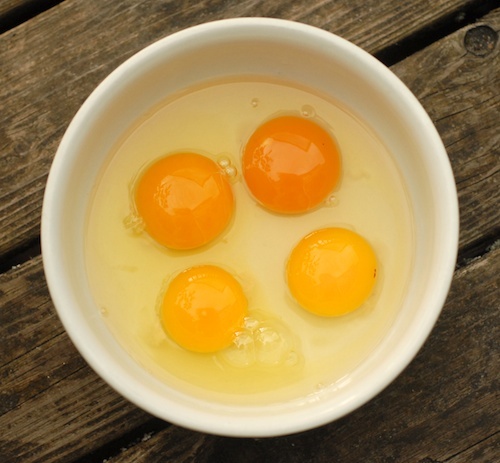 The important carotenoid nutrients found in eggs are yellow pigments, so the color is important. According to this study funded by Mother Earth News and using independent laboratory testing, pastured eggs have 1/3 less cholesterol, 1/4 less saturated fat, 2/3 more Vitamin A, 2 times more omega-3 fatty acids, 3 times more Vitamin E, and 7 times more beta carotene than eggs from warehoused birds. Along with the extra beta carotene in pastured eggs, there may also be increased quantities of other carotenoids beneficial for eye health. One study found increased carotenoids in organic eggs versus non-organic but not in ‘free range’ compared with non-free range (possibly the not-very-free-range quality of many free-range eggs may have confused things). So where can you find these nutritious and more humane eggs? If you’re lucky, from your own backyard or a neighbor who has chickens. Failing that, your local food-coop or farmer’s market are good places to look. When buying eggs from the store, use the ratings on this scorecard from The Cornucupia Institute for organic producers. Many brands of organic eggs, such as Trader Joe’s, Kirkland Signature, and Eggland’s Best, received the lowest possible one-egg rating on the Cornucupia Scorecard. (5/13 update: Our local Costco now carries organic eggs supplied by Wilcox Farms, which received a ‘very good’ three-egg rating from Cornucupia.) Eggs from highly rated producers with better conditions may be a little more expensive. If the ‘one-egg rated’ organic eggs are the only ones that fit your budget for now, don’t give up. Organic standards, even when followed imperfectly, still give birds a better life with no cages and an organic diet without routine antibiotics or questionable additives. Notes for those whose eyes have not yet glazed over: conventional egg farmers may add the carotenoids citranaxanthin or canthaxanthin to the diet of their indoor chickens to give the yolks of their eggs a yellow color. The latter chemical is also used on fish farms to make farmed salmon pink, and was used in tanning pills before adverse effects on the eyes were found (to be fair, to get the dose in a tanning pill you’d have to eat about 50 eggs). Have you had pastured eggs from a local farmer? Can you see or taste the difference? 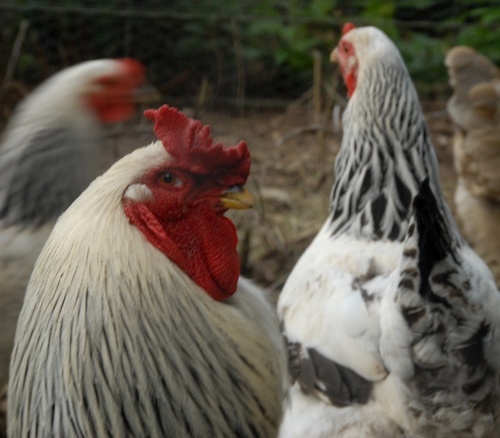 Free-Range Chicken Flock: Humane Enough? Thoughts on buying eggs from a free range flock of chickens on a hobby farm. The eggs are more humanely produced than eggs from a big farm, but are they humane enough? 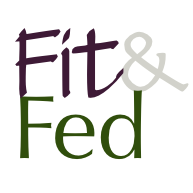 What we eat- from vegetarian to pescetarian Our family’s experience of being vegetarian for over twenty years, adding salmon back into our diet, yet still avoiding eating land animals. Healthy Holidays: a decent lunch in the car Healthy choices for a lunch or snack to bring along when you’re out running holiday errands. You can totally taste the difference between conventional and pastured eggs. Pastured eggs taste SO much better, and the shells are harder. They are more expensive, but I think that it’s a worthwhile investment for your health. I buy pastured when our budget allows, and when I can’t, I get the next best choice. Plus, I like knowing that I’m supporting a farm that cares about the humane treatment of their hens. The Texas Peach recently posted..My 36th Birthday Recap! You are right, Tempie, I should have mentioned the difference in the shells as being another way to tell the difference in quality, I may add that info. Pastured eggs are really a win all around for all the reasons that you mention: better tasting, more humane, and healthier. Wow, this is so eye opening…I guess I should have known all organic eggs are not created equally. Loved the rating scorecard! I tried the organic eggs tat they sell at Costco but I was not impressed, and considering the higher cost, I stopped buying them. Thanks for posting The link to the Cornucopia Institute–I’ll be looking for those brands in my area. Wow this is great information. Unfortunately I really don’t have any local chicken farmers in my area, but I’ll be checking out the Mother Earth News’ links! Great! The research I did motivated me to hook back up again with a local hobby farm with a flock of pet chickens. She doesn’t have an ‘eggs for sale’ sign or anything, I have to call a couple of days ahead and ask her to save eggs for me. I’ll post about her chickens soon, promise. I love getting eggs of different colors, I’ll always think the blue Araucana eggs are cool! Well, I am local farmer in Slovakia. I am sad people often buy cheap, supermarket ‘S’ size eggs. Organic eggs are tasty. Caged birds are doped with antibiotics. And antibiotics are anti-biotics, right? Yes, I hear about chickens being used to weed gardens and I wonder about that… how do you get the chickens to eat the weeds but not the food you are trying to grow? Maybe someone who knows more about this can enlighten me. I hear that ducks are good for eating slugs, maybe they munch the actual garden less. Excellent information here, thank you! I am lucky as I have Cerys rarely needed to buy eggs as my parents love to grow a lot of their own food which includes a few chickens running around making a nuisance of themselves. When I have had to though don’t know if it is because you are conscious of them or they really do taste different. Thanks for the nice comment, Lee, I love hearing from readers! What are Cerys? Thanks for replying to my comment. It was my bad typing, it was supposed to say I very rarely need to buy eggs. How I got very to Cerys I don’t know hasn’t even got the same amount of letters. I like the way you have used images and videos in your post . This is something I have started doing it seems to bring the post alive . I never knew that organic eggs are also anti-inflammatory! 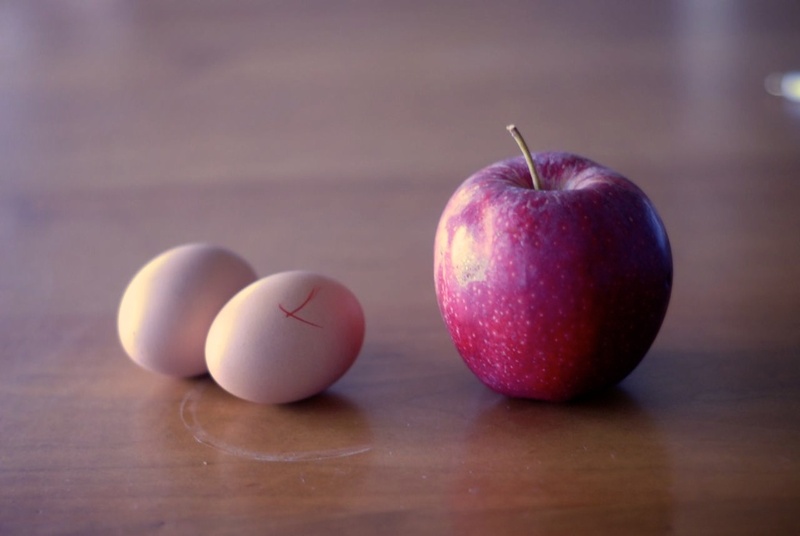 Indeed there’s a difference in the appearance of truly organic eggs from the fake ones. Next post: Tropical Oils: Healthy? Sustainable?